Insight on Palm oil – an amazing bloggers meet held by Malaysian Palm Oil Council! 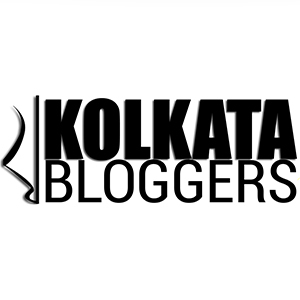 March 21, 2017 March 22, 2017 Categories Bloggers Meet, Event, Product Reviewasia, asian, blogger, Bloggers Meet, Event, fitness, food, health, healthy, kolkata, Malaysia, MPOC, palm, palm oil, park street, product, restaurantLeave a Comment on Insight on Palm oil – an amazing bloggers meet held by Malaysian Palm Oil Council! Have you heard about palm oil? Are you aware about its features or benefits? Recently I was invited to a bloggers meets held by Malaysian Palm Oil Council (MPOC) at Barbeque Nation, Park Street (Kolkata). Here at this discussion forum, we were introduced to the benefits of palm oil and we were informed about many facts and figures revolving ‘round palm oil, most of which were unknown to us. I was pretty amazed after knowing the benefits of palm oil which were discussed. So, I would like to give you some brief on palm oil and MPOC and move ahead with the other events which followed this introductory discussion session. MPOC is celebrating their 100 years and they wanted to make it special by spreading more awareness about palm oil and hence they arranged this meet with food and lifestyle bloggers of the city. We were warmly welcomed by Bhavna Shah and she introduced us to MPOC and informed us about the agenda and shared the information about Palm Oil. Palm oil is derived from flesh of the fruit of the oil palm. In its virgin form, the oil is bright orange-red due to the high content of carotene. Palm oil is nature’s gift to Malaysia, and Malaysia’s to the world. Palm oil is semi-solid at room temperature – a characteristic brought about by its 50 percent saturation level. Palm oil (and its products) has good resistance to oxidation and heat at prolonged elevated temperatures, hence, making palm oil an ideal ingredient in frying oil blends. Manufacturers and end-users around the world incorporate high percentages of palm oil in their frying oil blends for both performance and economic reasons. In many instances, palm oil has been used as 100 percent replacement for traditional hydrogenated seed oils such as soybean oil and canola. Products fried in palm oil include potato chips, French fries, doughnuts, ramen noodles and nuts. There are two types of palm oils – the crude palm oil (CPO) from the fibrous mesocarp and crude palm kernel oil (CPKO) from the kernels. Although both oils originate from the same fruit, palm oil is chemically and nutritionally different from palm kernel oil. It is one of the only two mesocarp oils available commercially, the other being olive oil. Palm oil, being a vegetable oil, is cholesterol-free. It also has a balanced ratio of unsaturated and saturated fatty acids. Palm oil is rich in Vitamin E and in fact, no other vegetable oil has as much Vitamin E compared to Palm Oil. Another reason why you need palm oil is because it supplies fatty acids as well as important fat-soluble micronutrients like Carotenoids (including pro-vitamin A), vitamins D, E and K. Fatty acids are raw materials for building the membranes of every cell in your body, including your bones, nerves and brain! The micronutrients keep your body cells healthy and functioning properly. Palm oil is very rich in calories. One gram of palm oil supplies 9 Kcal of energy, which is 2.5 times more than one gram of protein (4 Kcal) or carbohydrates (4 Kcal). Lately, there has been a lot of negative notion about palm oil, its production and deforestation. So to erase all these misconceptions you can go through this link here that tells about the future of palm oil, this is one lovely article loaded with views shared by Malaysian Palm Oil Council’s new CEO, Dr Kalyana Sundram. After this informative session about palm oil and MPOC, we were informed that there will be some fun activities to follow to make this meet a memorable one. Here I would like to say a big ‘thank you’ to Priyanka from Six Sigma for conducting this event and for having me over. To start with, the bloggers were divided into five groups having 7 bloggers in each. Every group had one lead and a clue card was handed over to them. The group had to solve the puzzle in that clue card to get to a restaurant in the Park Street area where the next stage of the Food Hunt awaits. The first clue card had the name ‘Mocambo’ hidden in it. So all the bloggers rushed to the iconic restaurant! It was quite a sight seeing so many bloggers running through the street on a laid back Sunday morning! At Mocambo, we were handed over a long list of questions all revolving ‘round palm and palm oil. We had to solve it correctly in minimum possible time and hand it over, that will give us another clue card with another restaurant name hidden in it. This time the clue card had the name ‘Oasis’. We rushed to Oasis where blindfolded food tasting was awaiting us! This was one unique and awesome experience especially for a food blogger, I really enjoyed it. After every group tasted and wrote down all the ingredients the chefs came forward to reveal the actual list of ingredients and accordingly points got added in the account of each group. Next the clue card had the name ‘Trincas’ hidden in it, so we rushed to Trincas! Here salad preparation was awaiting us! We picked up our ingredients and prepared salads which got judged based on the taste, hygiene and presentation by the chef. Then we came back to Berbeque Nation. Here the Dart game was arranged next. Each member of the team got one chance to exhibit their strength in the dart game. By the way, I just missed mentioning about the Mannequin Challenge which paused the activities couple of times! 🙂 After the dart game, the points were all consolidated and the overall winning team of this food hunt was announced! A photo shoot session shortly followed which got more interesting since we were asked to use certain fun props during this photo shoot. Bloggers facing the lens for the photo shoot session! That concluded the fun activities and the food hunt challenge for the day. A sumptuous buffet lunch at Barbeque Nation followed next and we were elated to savor the delicacies that this iconic buffet joint had to offer! Off the grill kababs, some of the amazing main course dishes and definitely the lovely desserts stole the show and left all the bloggers super happy! Thus the fun filled meet came to an end and left loads of happy memories, and information / awareness about palm oil! Would like to again thank MPOC and Six Sigma for arranging this wonderful event, we thoroughly enjoyed this amazing bloggers meet! It was so different, unique, informative and fun filled! P.S. : Picture courtesy – Six Sigma and MPOC. Previous Post Fuji – Perfecting my palate for authentic Japanese! Next Post Made in Oven – or was that Heaven?